Baseball netting and a spotlight on safety, baseball spectator safety. On 20 September 2017, baseball fans and teams alike got yet another painful reminder about the importance of safety netting in sports. A two-year-old girl was struck in the face by a 105-mph foul ball at Yankee Stadium, suffering multiple facial fractures and bleeding on her brain. She was released from the hospital five days later, but it was still unclear whether there would be permanent vision damage or a need for facial surgery. Such incidents prompted Major League Baseball (MLB) to recommend in 2015 that stadiums install safety netting a minimum of 70 feet up each foul line, or approximately to the start of the dugouts. Currently, all 30 MLB teams meet this standard, including the Yankees. However, that protection is not enough. 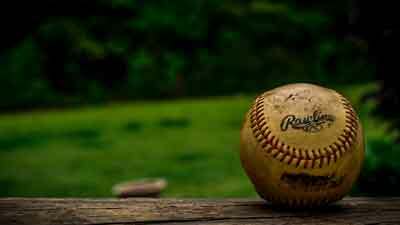 The two-year-old girl was sitting farther down the third-base line. And there have been two other serious injuries at Yankee Stadium just this year: a boy hit by a broken bat in May, and a man hit in the head by a foul ball in July. Contributing to the issue is the fact that stadiums, especially newer ones, now seat spectators closer to the action—and also to the danger zone. Ten MLB teams, including the New York Mets, have extended their safety netting beyond the league recommendations. Why haven’t the rest? According to Jordan Kobritz, a Sport Management professor and former minor-league team owner quoted in the NBC News article, one problem is the perceived difficulty of implementing netting solutions, because each stadium has unique requirements. That’s where U.S. Netting comes in. We have years of experience designing custom solutions to suit the needs of any sporting venue. U.S. Netting offers premium quality baseball safety nets. One newer product we’re excited about is a #18 High Molecular Weight Polyethylene Baseball Barrier Netting. This net has 1 ¾” mesh openings and is urethane coated for UV stabilization. It has an impressive tensile strength of 410 pounds per cord to stop flying bats and balls. This netting also addresses another reason teams might be reluctant to expand their safety measures: a perceived loss of visibility. Kobritz believes “Most people don’t like to sit behind netting. High-end seats are closer to field. . . . [and teams are] concerned that if they extend netting, fewer people will want to sit in lower seats and that will impact the bottom line.” But the polyethylene net is much easier to see through than typical knotted netting. It blends with its environment to near transparency, making it an excellent choice for protecting fans without sacrificing their view of the game. Baseball isn’t the only sport in which spectator safety is a concern. U.S. Netting offers a range of protective sports netting, including high-strength hockey arena netting specially designed for those venues; golf practice cages and driving range nets; and safety netting for drone racing and competitions.